Our beloved Mother of Naju! In this season of grace when the fragrance of acacias drifts through the air, the family of Mary’s Ark of Salvation gathers before you like this, renewing its resolution. The reason why this mountain of yours with so many green and healthy trees and all kinds of flowers in full blossom is so dazzlingly beautiful is that it is a holy place of grace, where you are present, confirming your love and friendship for us. You open widely your bosom that is greater than the universe, stand tall on the earth, and speak to all the children in the world as follows. Now, come, my babies! I embrace you in my mantle to restore life in your arid hearts and to wipe away your tears by healing your stinging wounds. I will wash your deep sorrows with the water of mercy and put you to a sound sleep. I will melt down even your anger and passion that flame up and fill you with joy instead. Oh, our dear Mommy of Naju! You are taking care of our concerns and worries in our place, carrying the burden of our illnesses and pains which are our share and defending us from all our sufferings with your whole body, not even minding shedding tears and tears of blood. Oh, our beloved Mother! You love us so much that you exude fragrant oil by squeezing your whole body, expressing your love, friendship and presence and inviting us into your bosom that is wider than the universe. We lay down everything before you despite our unworthiness. Our souls, bodies, and all else that we have now belong to you. Listen to our cries and embrace us tightly. Mommy! In those nights when we cannot fall asleep easily, we will lean on your shoulder to fall asleep. We will nest in your warm bosom and will always remain within your view. Dear Mommy! When we feel tired and weak while living in this world, we will hold on to the hems of your dress as importuning children. As you told us to become simple and lowly and not to worry at all, we will only follow you wherever you lead us to. 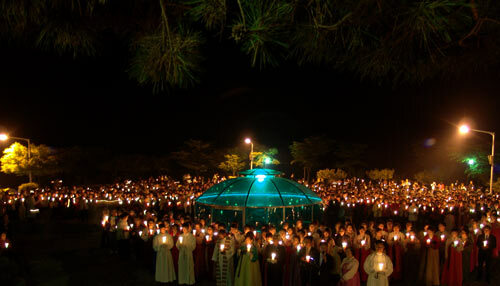 Dear Mother, Our Lady of Naju! Your helping hand of love is so sublime and pure. Your benevolence is far beyond what others can imitate. Your love is warmer than the sunlight. Your Immaculate Heart is more lucid than the morning dew. What on earth are we, who are being so loved by you? 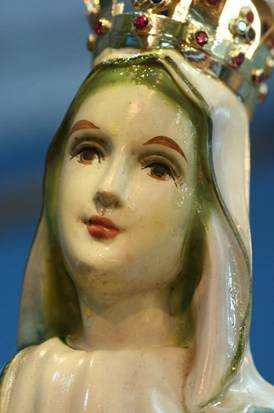 Oh, Our Lady of Naju! We ardently implore you firmly holding your hands. Please don’t shed tears and tears of blood at least in this month of May, which is your month. Be comforted by our prayers despite our unworthiness, and make a big smile that fills your face. Make a big, happy smile. Amen.